THANK YOU Baltimore City Paper for the Best Of Baltimore award "Best Theatrical Experience!" Follow Submersive Productions on Facebook to hear about our latest productions! Or email info@submersiveproductions.com to join our mailing list. in a realm where living, dead, fact, and fiction commingle. "The Mesmeric Revelations! of Edgar Allan Poe proved that there are many corridors of the poet's mind yet to explore." "An intensely immersive theatrical experience like no other in Baltimore, Washington, or any of the surrounding metropolitan areas, The Mesmeric Revelations! 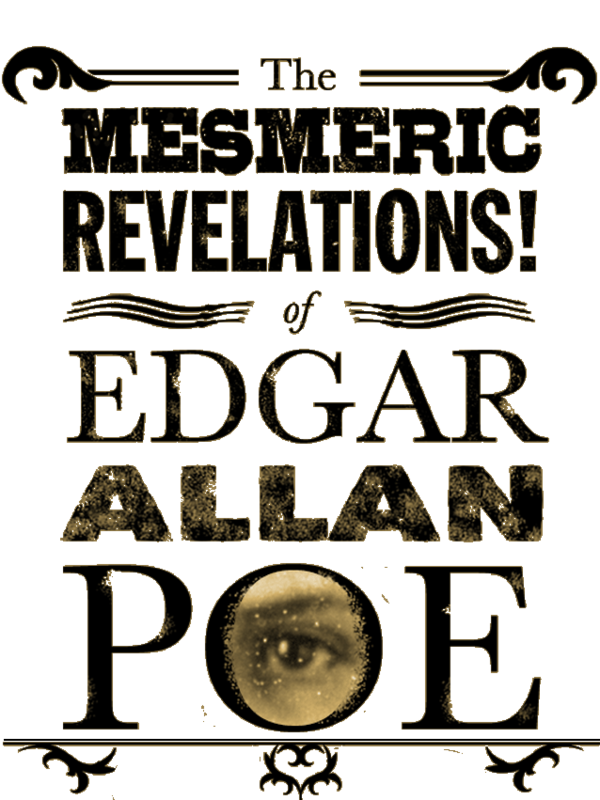 Of Edgar Allan Poe is quickly becoming Baltimore’s own Sleep No More". "Revelations! is like going to a haunted house run by everybody’s favorite 'cool' AP English teacher...It’s the nevermost." Are you asleep? Good. Let us begin. You will join 25 others in an historic 1840's Baltimore home. Events will transpire. You will encounter characters, objects, stories, secrets, states of mind. Your intuition will guide you, logic will fail you and your inner monologue will be unreliable at best. But where’s Edgar? Somewhere out of space, out of time, we suspect. Created by Submersive Productions LLC, The Mesmeric Revelations enjoyed two highly lauded runs in the Spring and Fall of 2015. While the doors to the Mesmeric World are now closed, Submersive Productions continues to develop unique and memorable audience experiences. Follow Submersive on Facebook for news of upcoming productions. about the Mesmeric World and its inhabitants. Where: The Enoch Pratt House at the Maryland Historical Society, 201 W. Monument St, Baltimore (house entrance is on the corner of Monument & Park). When: Tickets now rapidly selling out for October 12-December 20th 2015. Coat and bag storage will be available upon entering. Beverages and restrooms will be accessible throughout the evening. The Mesmeric Revelations! is recommended for ages ranging from the most mature 9-year-olds up to the most adventuresome 99-year olds. One may experience intense psychological moments. Because this is an immersive experience, there will be limited seating and audience members will be encouraged to move throughout the space for the duration of the show. Please contact info@myedgarallanpoe.com if you have any questions. Are you traveling from out of town? The lovely Hotel Brexton is just a short walk from away and Mesmeric ticket holders are eligible for a 10% discount on their stay! (Cannot be combined with any other offer. Subject to availability.) Please email reservations@brextonhotel.com for booking to claim your discount. A detective created by a famous poet. Newly born to this world. Past lives unknown. Actress and mother of a famous poet. Dead at the age of twenty-four. Writer, poet, spiritualist, mesmerist. Once engaged to a famous poet. Wife of a famous poet. Dead at the age of twenty-four. A summoned guest of the house. Unreliable. Butler and servant to the house. and a generous gift from PNC.